The Club is proud to announce the head coaches for the upcoming season. Although the assistant coaches are not named below they are a vital part of our 50 plus strong coaching staff. 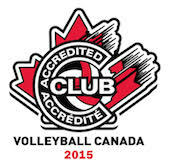 The Club is still looking for coaches to so if you are interested please contact John.Spack@maverickvolleyball.ca.